One of our client offers a complete vacuum unit (DX-system) consisting out of one vacuum container, automatic. 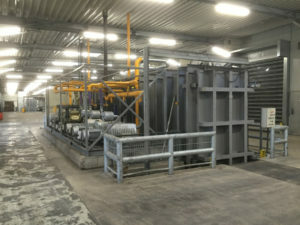 chain conveyor system and cooling unit, which includes 2 compressors, 1 air cooled condenser and a 600L reservoir. The installation can be visited in Northern-Germany.